Yesterday morning I woke up in Istanbul. By noon I was back at the office in Oslo having lunch with my friends at Dark. That flight marked my final appearance as a speaker at international BIM conferences in 2014. I’ve been in Melbourne, Chicago, Dublin, Las Vegas and now Istanbul. At all these events I have contributed with multiple presentations and labs, totaling almost 14 hours on stage. 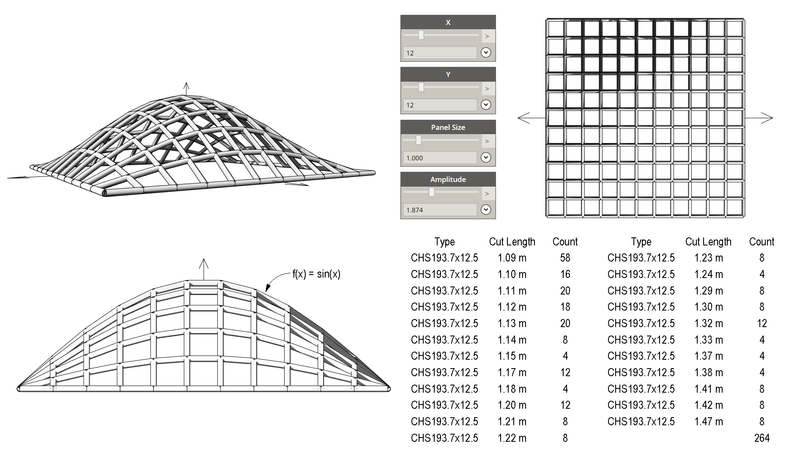 Most of the material has been presented multiple times, but the total number of handouts and datasets that had to be produced, revised and quality assured is overwhelming, especially due to Dynamo versions but also new Revit featuers. The Rebar presentation was a repeat/continuum of the presentations I did on similar topics at AU 2012, 2013, RTC NA 2013 and RTC AUS 2014 previously. The only difference this time was that it was live streamed across the world, with a couple of thousand people watching. It’s still being watched in fact, as the recording continues to reside at au.autodesk.com/au-online/live-stream/revit-concrete-reinforcement. Common for both sessions was the great feedback I received both verbally and digitally (as class rating), and that I had a great time with my friends in the audience. 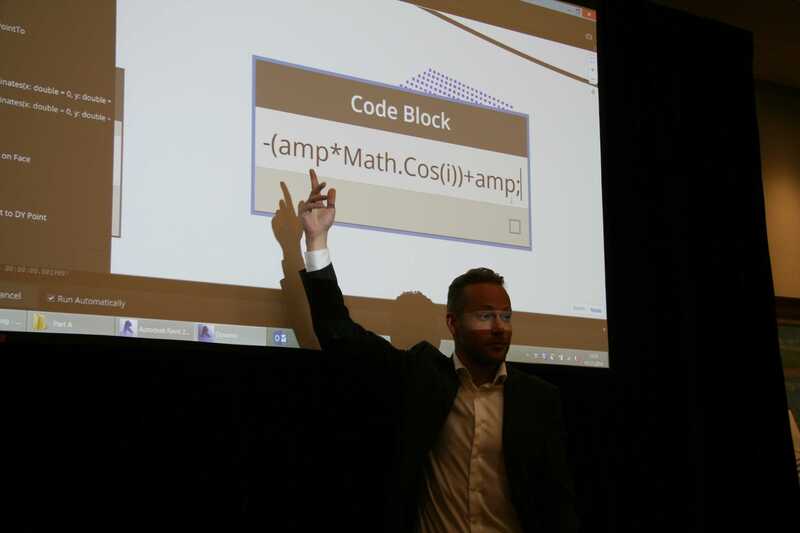 At RTC EUR 2014 I did one Dynamo presentation and the double lab mentioned above. The double lab differed from the one I did at AU in that it excluded Julien’s second part on using Dynamo for working effectively with analytical information on the basis of a simple Adaptive Component structure. Basically, I did the easy part of creating a structure, and my friend did all the complex analytical hacks with Python. We got great feedback for the session, but next time I think we will try to keep it a bit more simple. 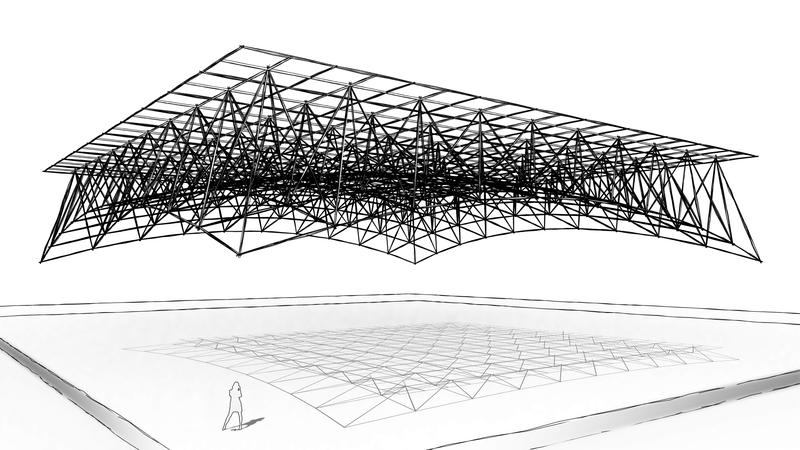 The maths in Dynamo that created the roof structure for us was developed in collaboration with the coolest dude in Computational BIM; Zach Kron. The Dynamo presentation I did alone also got great reviews, even though I struggled a bit with some normals midway. 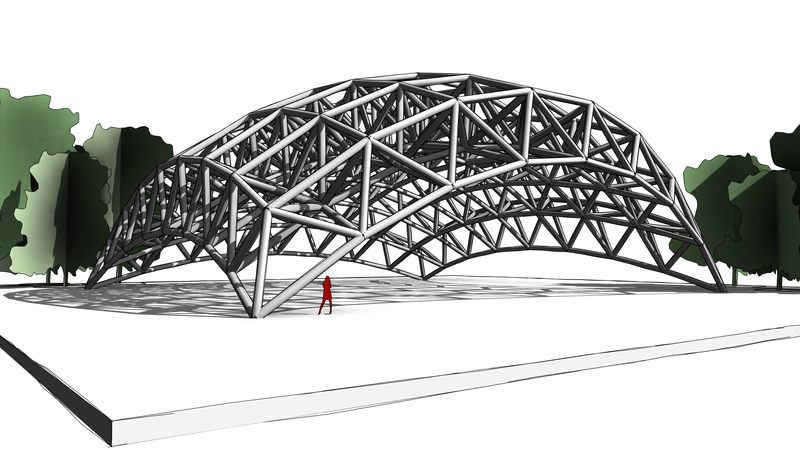 I love doing live demos, and this time I built a space frame with variable thickness based on a double curved surface. Here I was luck to have all other Dynamo presenters at the conference lined up on the back row, commenting everything I did wrong in their eyes. Actually I wish they had, as that might have saved me from n00bing with normals. Check out Julien’s blog; AEC, you and me for news and updates on his presentations. I wasn’t scheduled to attend RTC NA this year, but Steve Stafford contacted me two weeks before to inquire if I could cover for a cancellation. I can never say no to the man and booked my flights instantly. 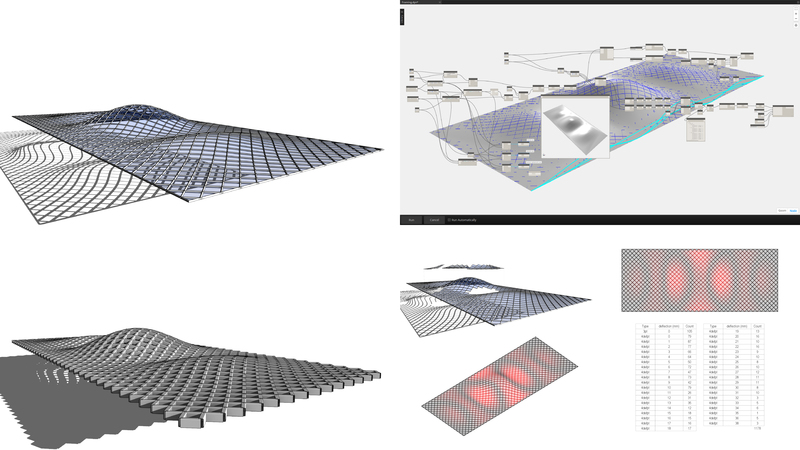 I did a double lab on computational logic in structural design; the first part with Masses and Adaptive Components in the conceptual modeling environment; and the second part on Dynamo. The exercises I used was the same space frames I lectured on in Melbourne at RTC AUS a month before. My inexperience with labs at the time was saved by Brian Mackey and Bruce McCallum, who were both present and helped out the participants who ran into trouble. Thanks again guys! Next year I will focus more on Computational BIM and Dynamo in architecture, as that’s what I’ve actually been working on the last year. Now it’s time to relax and bring the stress down for Christmas with the family. All my friends abroad, see you next year and thanks for an epic 2014! 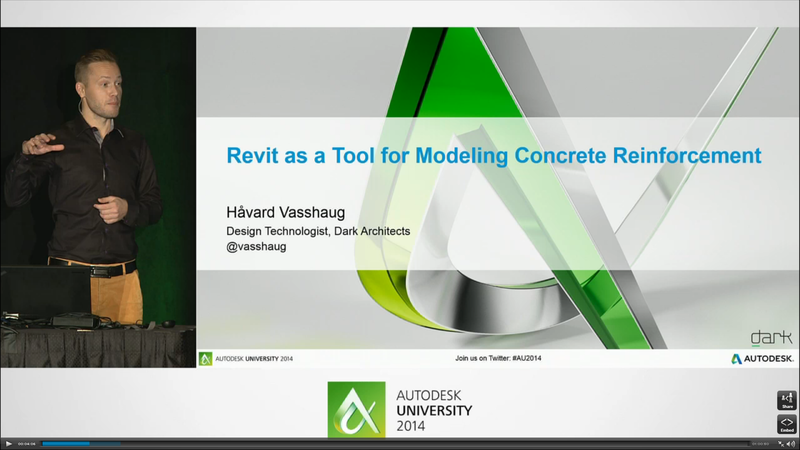 This entry was posted in Value and tagged Adaptive Components, Analysis, AU, AU2014, Computational Design, Content, Dynamo, Reinforcement, Revit, RTC, Training on December 12, 2014 by Håvard Vasshaug.